The client wanted a recipe styled on one of their table cloths that their audience would relate to. We selected this pretty cottage-style cloth and developed a simple recipe but eye catching cake that went with the whole 1950’s baking vibe. 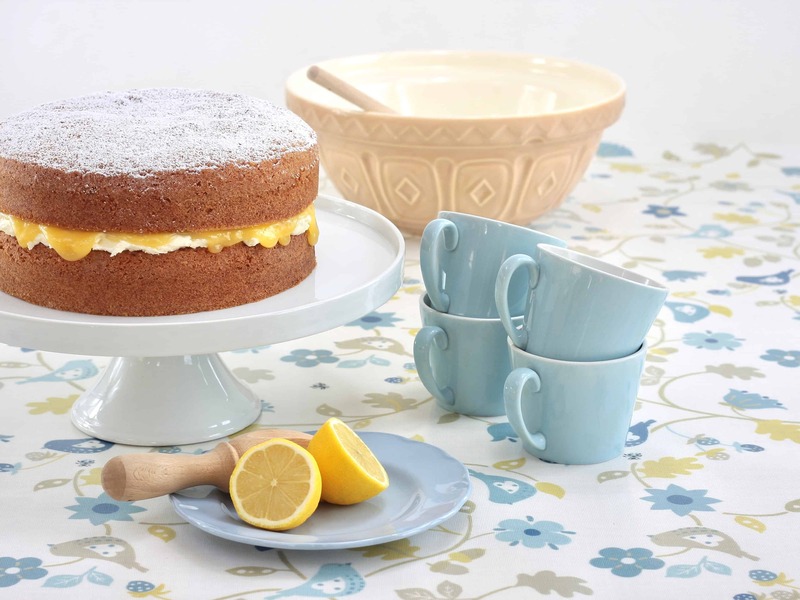 This sponge cake, filled with lashing of butter icing and oozing with lemon curd sits proudly on it’s china cake stand in this shot but the tablecloth is still the hero. If you were hoping for a slice, sorry we’ve eaten it all!